We found 108 independent new or used book stores near 60194 with open storefronts. If you are interested in visiting one of these stores, we highly advise that you contact them first by e-mail or phone to verify store hours. And, be sure to say "Biblio says hello!" when you stop by! As a service to you, we specialize in books on liturgy, liturgical music, and theology of the liturgy, including sacramental theology and ecclesiology. We also provide choral octavos, as well as hymnals, Bibles, and related resources from ACP Publications, American Catholic Press, and Catholic Press. We specialize in Easton press and Franklin Library books. Primarily academic and rare items from an in-home seller--top grade customer service and attention to detail. We are an open shop with 55,000 volumes. About 1/4 of our inventory is comprised of new books, the rest are used and out of print. Alkahest Books was established in 1984. We started as an open shop on Central St. in Evanston, IL, and sold books there until 2002 and later were part of Chicago Rare Book Center which closed in 2017. We are members of the Midwest Antiquarian Booksellers Association, and sell both online and at book fairsInternational customers should ask for a shipping quote before ordering as the rates given are only for smaller books. For more than 25 years, ACCR has worked with State Chambers of Commerce/Associations of Business and Industry across the country. Our goal is to provide employers and HR professionals with the resources they need to stay in compliance with the rapidly changing world of employment laws and regulations. Biblioceros Books is an on-line bookstore operating from Warrenville, Illinois, a small town 30 miles west of the Greater Chicago metropolitan area. BookEmpires is an online bookstore that sells various books, CDs and DVDs. We pay close attention to item descriptions, so that you get what you expect. Our goal is to satisfy our customers and make it easier for them when it comes to ordering books online, which sometimes can be confusing and difficult. If for any reason you have a problem with your item, please let us know about it and we will immediately handle the problem together. Our return policy is 14 days after delivery. Please contact us BEFORE shipping back your item. Booklady a selective inventory of 10,000 used, rare, and/or out-of-print books, as well as ephemera, periodicals, post cards, and other unusual paper items. Holdings of fiction and current literature is limited. We offer an electic, ever-changing list of titles for your reading pleasure. By Booklovers, For Booklovers.A little shop dedicated to the love of books. Each book in our collection is based not only on its story, but the art of its construction. Books are gathered from personal collections. BOOKS IN TIME -- Hard-to-find, Rare, Collectible & Out-of-Print books for LESS! We are in the process of cataloging our full inventory. New listings are added daily, so check back often for new offerings. Meanwhile, we welcome your e-mail inquiries about titles of interest to you. We may already have JUST WHAT YOU ARE LOOKING FOR in stock. Customer satisfaction is our number one priority. 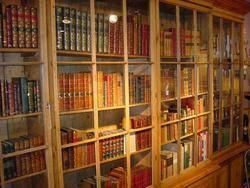 booksnvintage is an on-line bookseller that specializes in more contemporary books that are hard to find, first editions, educational, or in some way special. Selling books from my collection for the past 20 years.Ebay to Abe Books to Biblio.Just coming back after a respite.I always ship in a box. BookZone Illinois has over 110,000 books online, and adds more each day. We are located in Naperville, Illinois and sell only on-line. BorgAntiquarian (ABAA & ILAB) is a dealer long engaged in selling exceptional collectibles: rare and fine books, autographs and manuscripts, fine art and artifacts. We are generalists in Americana, English & American literature, plus selected authors & important figures (Dickens & Darwin; presidents & 'signers'; scientists & historical figures; Revolutionary & Civil War militaria). Based in the far northwest reaches of the Chicago suburbs, Carpetbagger Books specializes in literary fiction and modern firsts. Inventory is updated weekly, if not more frequently, so browse often. If you are after something particular, don't hesitate to communicate: not all inventory is uploaded online. Cat's Cradle offers an eclectic selection of used, rare, antiquarian and collectable books -- modern and hypermodern firsts and mysteries, current and classic science fiction, horror and fantasy, classic literature, suspense and thrillers, children's books and classics, short stories, and books in law, science, cooking and other fields. Catalogues available upon request. We've accumulated a large number of books in our household over the years and are selling some of them online in order to downsize. These cover a wide range of subjects including music, science, philosophy, architecture, Judaica, and more. We offer a very large selction of books at competitive prices. We specialize in books for collectors of antiques, fine arts, and collectibles, with a specialty in horology and fine art references. We have over 12,000 titles in stock divided into 30 subject areas **(We have subjects on Southeast Asia and the Vietnamese War)** We are a store that takes pride in the new, used, rare, and out-of-print books that we sell. NOT AN OPEN SHOP: please e-mail questions and leave phone number if you\'d like - I\'ll get back with you! Catalog sales specializing in children\'s horse dog, and animal books; adult horse fiction and non-fiction; some aviation; and childrens books to read or collect. I am a book collector and Internet bookseller specializing in academic and scholarly books, especially modern first editions and classic monographs. Since 1994 Downtown Atlantis Books has specialized in hard to find texts on all subjects. We are always obtaining new collections. New, used, out of print, scarce, quirky and eclectic. Come to our online store often to see what we have to offer! e-Street Sales is an online seller of mostly textbooks. We are new to Biblio, but have been selling online on another marketplace for 3 years with great customer feedback. We are dedicated to superb customer service and correctly listing our books. Sorry not an open bookstore. Personal bookseller, primarily hardcover first editions. Gracemark is an online bookseller that values customer service above all. We personally select various niche books to include in our inventory. Book conditions are evaluated honestly. When applicable, ISBN numbers are included in listings. General Stock with emphasis in Americana, Medicine, Medical History, Civil War. A focus on Antiquities and Language with other occasional titles. We are members of ABAA, ILAB and Midwest Antiquarian Booksellers Association. We specialize in First Editions of 20th century photography, art, design, literature, drama, poetry, and signed books. We are not an open shop but always welcome inquiries. I am selling many of my personel collection.there will be a variety of different titles and interest. Elsie's Antiques is a professionally run full time on-line store. Although books is our main venue, our family deals in a broad range of collectibles, from truck and tractor brochures to Hummels and vintage toys available through our home website www.elsiesantiques.com. Being in the estate liquidation and antiques business for many years has given us an enormous source of fine goods at reasonable prices. Klimas Books, Ltd. has been in business since 1998 selling all over the world. We specialize in scholarly including Economics, Philosophy, Law, Science, Medicine, European History etc. Primarily mail-order and shows; open bookstore only by appointment or invitation; select inventory of 10,000+ books, ephemera, autographs, maps and manuscript material. Most dustjackets protected in archival mylar. Many books without dustjackets protected in custom archival mylar. Member of the Antiquarian Booksellers Association of America (ABAA), the International League of Antiquarian Booksellers (ILAB) and the Midwest Antiquarian Booksellers Association (MWABA) (formerly the Midwest Bookhunters or MWBH). Proprietor: Kurt Gippert. I am not a store or business, I see books from my personal home collection. I am a student in college and use the income to allow me to purchase textbooks for college. 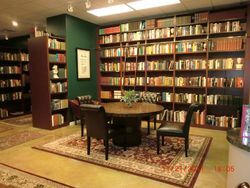 Lawton Books is a private home with a large library of books that we have collected over the years. LegenGary Books is an online, independent bookstore, based out of Palatine, IL. We strive to provide our community (local and online) with a wide variety of quality used books at reasonable prices. LeNart Books is a husband and wife bookstore that is started on June 17, 2018. The name "LeNart" is a combination of the 2 surnames of the couple, Le and Tran. At Little Sailors we are committed to provide the best possible experience when purchasing products from us. We strive to give the most accurate descriptions of the items we sell and provide timely customer service to any inquiries.�Little Sailors is a Veteran owned company. I do not have store customers can visit, nor an independent website. So far, I've only sold my books on EBay and Amazon. Independent reseller who scours for books at various secondhand stores and garage sales. Miles Book is a general trade New-Out of Print and Collectible Bookstore. We carry both hardcovers and paperback books. Our prices are fair and our descriptions of book condition are accurate. ModernRare.com is exclusively an online bookstore. We believe this is the best way to satisfy our customers' expectations. Unlike an open bookstore, where books are routinely handled and may deteriorate, we guarantee the condition of our books as described. We specialize in modern firsts, photography, the arts, and erotica. You will also find a fine selection of signed copies, limited editions, and memorabilia because our ultimate goal is to deepen the pleasure of collecting books. We carry titles that we ourselves like and believe in -- books that we think will excite, enchant, and endure. welcome to must buy.....we are a book & dvd store....its a family owned business....we have been selling online for 5 years....feel free to contact us anytime....with questions or a problem....we will find the solution together. On-line booksellers of used, new, and out-of-print books. NorthBooks offers titles in many categories and specializes in Military History, Literary Studies, Scholarly, History, Decorative Arts, and Art. Books are from my personal collection which, (regrettably because of retirement and downsizing), I must winnow. I have primarily bought contemporary fiction and nonfiction post-1965 but my interests also spill over into English literature. Most are first editions/first printings and many are signed. We are offering the best book for usmle and second year medical school pathology.100 % satisfaction guaranteed.Best price ever.Free Fast shipping allover the world with tracking number. I sell vintage books in perfect condition. Thank you for stopping by! We have been selling books online for over 19 years. All orders are shipped with delivery confirmation service at no additional charge. Standard shipments are via USPS media mail. Expedited service ships via USPS Priority mail. International orders are shipped via USPS Priority or First Class air mail, all orders are handled with care and shipped promptly in secure packaging. We are open daily. We ship Mon-Sat and send shipment confirmation emails. Our customer service is friendly... have a question, we're always happy to help. Thank you once again for stopping by our shop! readers_anonymous is committed to providing each customer with the highest standard of customer service. Please contact us via e-mail with any questions or special requests. 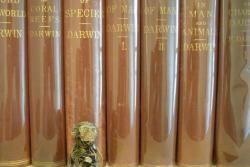 Richard Owen Roberts Booksellers has dealt in used and rare books for 51 years. While focused primarily on theology, antiquarian, and scholarly items, our stock of well over 150,000 volumes (a portion of which are listed here) contains literally tons of other material of secular, academic, literary or historical interest, including many biographies, first editions, a large array of unusual and significant pamphlet material from early American history and an unusually fine selection of rare books dating to the early 1500\'s. Housed in Wheaton, Illinois, near Wheaton College and 35 miles from O\'Hare International Airport in Chicago, our facilities contain well over three miles of bookshelves. A portion is open for walk-in shoppers. We also do considerable trade with individuals by phone or post as well as with schools, libraries and other large institutions. We acquire books regularly in quantities large and small. Do call if you are in town!! Please phone for hours or appointment. Current hours: 1:30-5:30 pm Monday thru Friday with occasional irregularity. Please call 630-752-4122 to be sure. A family run, independent online bookstore. 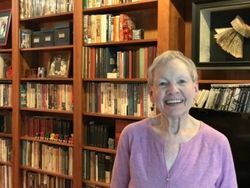 We have been a family owned & operated rare, out of print, new and used book business for over 30 years, and have been members of Midwest Antiquarian Booksellers Association since 1977. Round Table Books, LLC lists rare, beautiful and interesting books.� All books are described accurately, packed carefully and shipped promptly. SATISFACTION GUARANTEED - Any book may be returned within 30 days of receipt for a full refund. We at Heavytail are determined to earn your repeat business by providing the highest caliber customer service. We will do whatever is necessary to produce a happy customer with every and every order. I am a medical student at Washington University in St Louis who owns a signed copy of the first edition, first printing of Pale Blue Dot by Carl Sagan. We sell international edition textbooks since 5 years. Generally we use DHL/FedEx/UPS for expedite shipping method and send the tracking number to your email within 48 hours. Inquiry for bulk orders and any doubt in mind regarding book before placing order, please feel free to contact us at textbooksdealing@gmail.com. I sell hard-to-find romances at hard-to-beat prices. 99% of my books are paperback, mostly romance with a few fiction and childrens titles. I've been in business since 1998. Thanks for the interest! Ann. To us here at Third Person Books a book isn't a commodity, it's an idea. Even more it's an embodiment of an idea in physical form with everything that goes along with that. There's a whole philosophical spiel we could get into, but let's shelve that for now! Quality books for sale at reasonable prices. I am an artist who also sells books! I specialize in used and out of print books, any and all subjects...the stranger-the better! just like my art! I love to sell books online and I am always adding more titles to the mix! BUYING MY BOOKS SUPPORTS ART! THANKS!! Book lovers who came together to sell rare and antique books. Uncharted Books is an independent brick-and-mortar bookstore in Chicago's Logan Square neighborhood. We sell a highly curated selection of used books, zines, and rare titles, with a focus on the literary, the local, the strange, and the adventurous.We are a small, scrappy, DIY business that has been serving our community since 2012. We especially pride ourselves on our eclectic selection, our unique and cozy atmosphere, our knowledgeable and friendly staff, and our busy calendar of community events. Fast and reliable service. We sell books in virtually all categories, including history, politics, sociology, psychology, literature, religion, theology, art, biography, and education. All books sold will be vintage, 1880 - 1950. Large collection of autographed and rare books, 30,000+ and growing. Feel free to reach out with any questions.